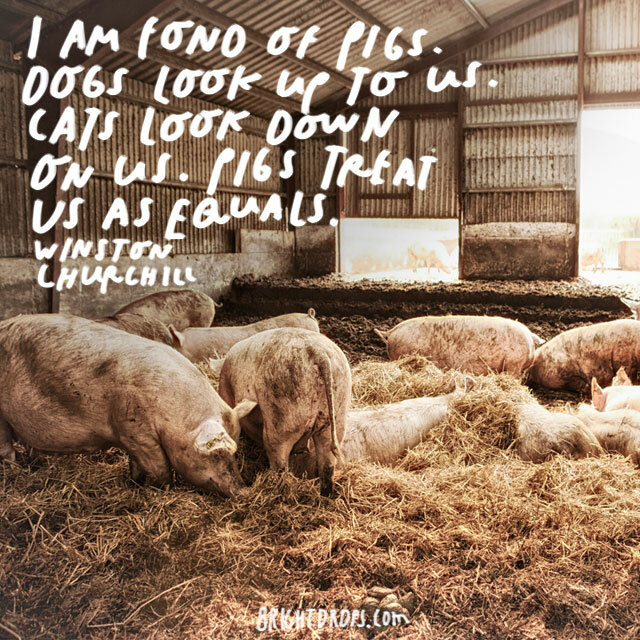 The famous Leader of England prefers pigs because they have always treated humans as equals. 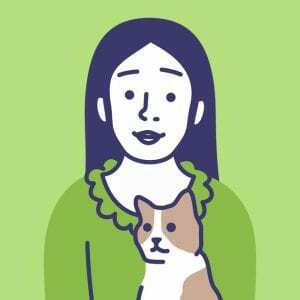 Dogs look up to humans and cats look down to humans. Pigs stay neutral and treat us the us the way that they want to be treated. 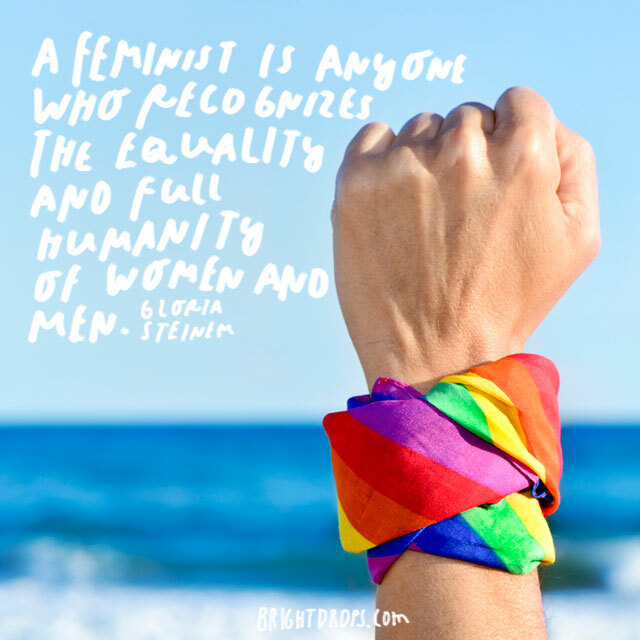 A feminist is someone who believes in equality among the sexes. Someone who believes that women are superior to men are not feminists. If you believe that women and men should be treated equally and given the same opportunities, then you are a feminist. We are all the same on the insides. 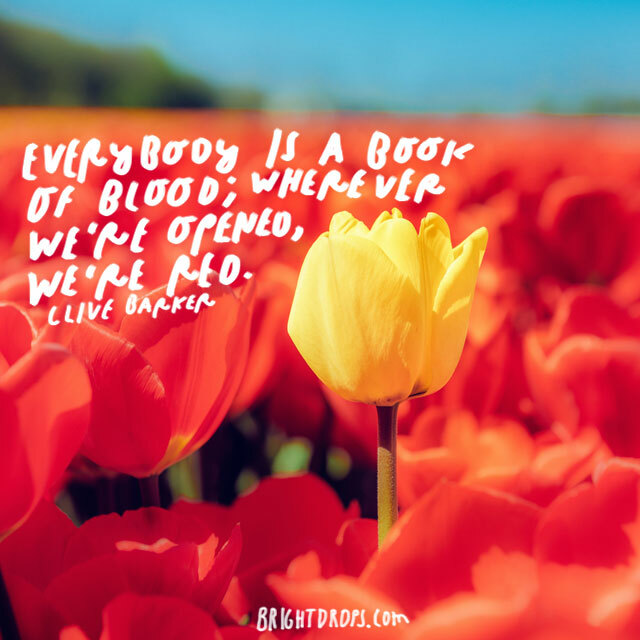 No matter what we may look like on the outside, were all the same if we were to be opened up. We need to start embracing our differences on the outside and seeing each other as equals for who we are. 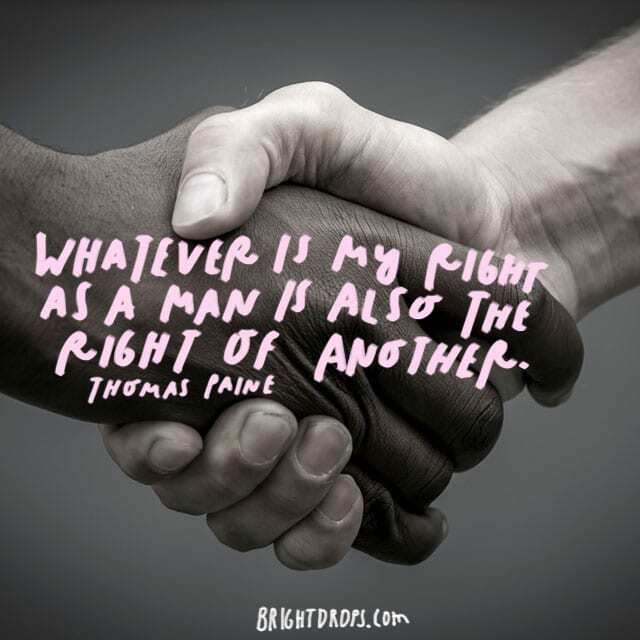 The right of a man should be the same right of any man. Nobody should be treated different than another person no matter what the situation is. We are all humans and we should all get the same treatment. 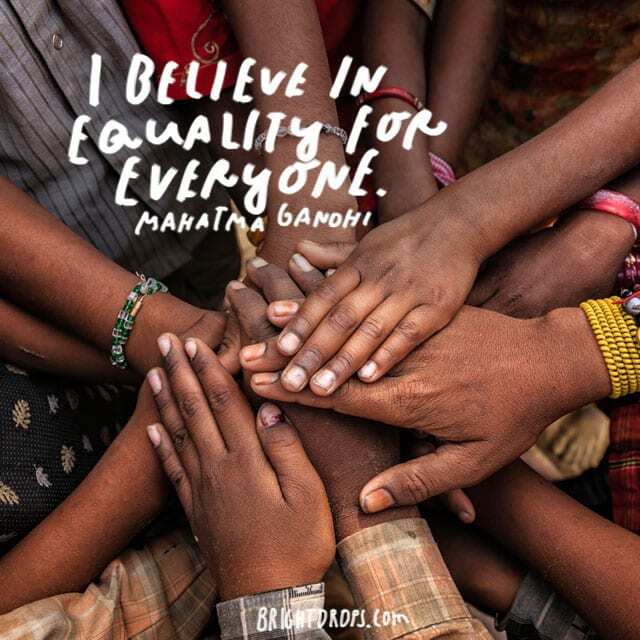 Mahatma Gandhi is famous for spreading love and equality wherever he went. 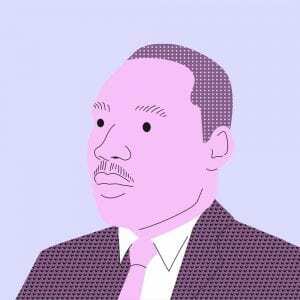 He was a strong believer in equality and he fought his whole life to make it a reality. If it weren’t for him, the world may not be what it is like today. It does not matter what race you are, what religion you practice, what your gender or your sexuality is. We are all people and we are all after the same thing in life: happiness. Why care about what other people other doing? Stay focused on yourself. 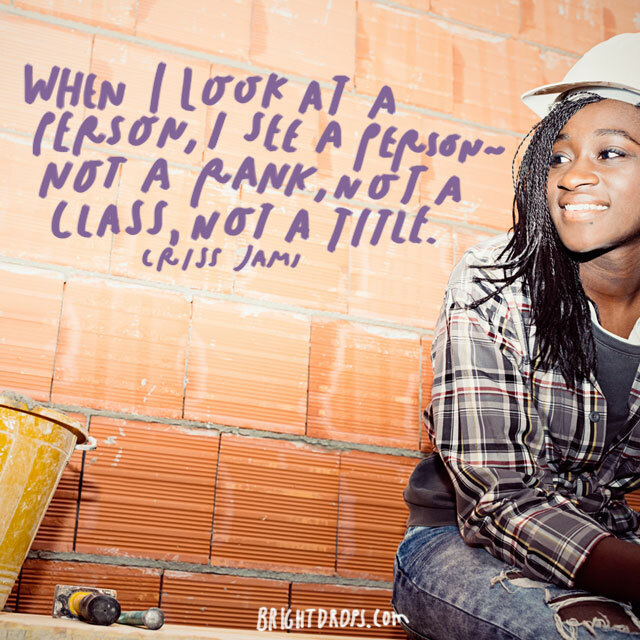 When we see other people, we should see them for who they are. We should not see a title that they keep or who they are based on where they live or how much money they make. We should treat everyone with the same respect and dignity. David seems to be a person who believed he was smarter and better than other people earlier in his life. He believes those thoughts almost killed him. 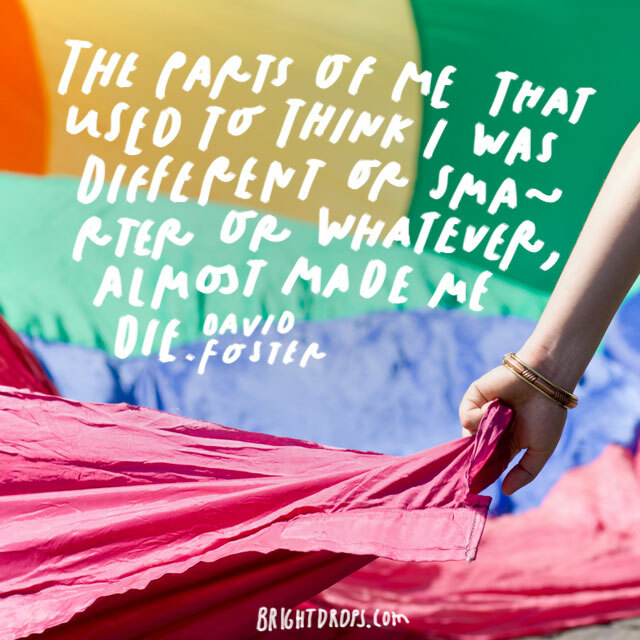 Going through life thinking you are better than someone else is not a good way to live and thankfully David was able to figure that out before it was too late. Our inability to recognize these differences and only see people based on their gender or the color of their skin is what is hurting the human race. We must learn to get to know people and value their differences. 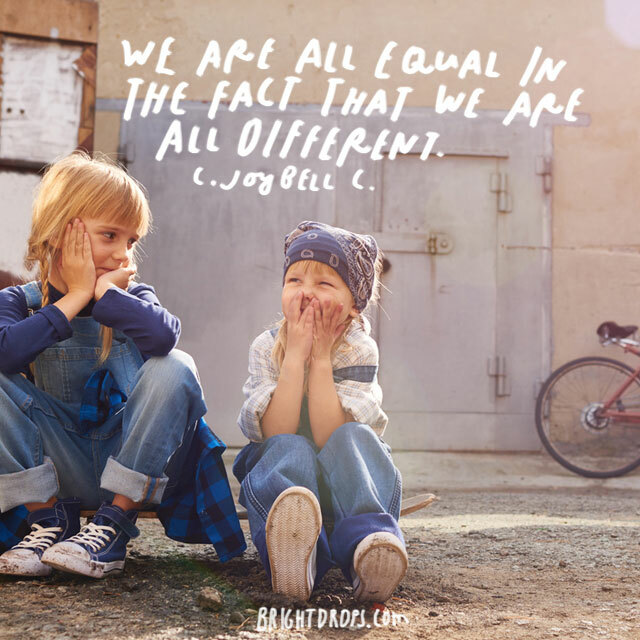 “We are all equal in the fact that we are all different.” – C. Joybell C.
We are all different which makes us all equal. We all have different skills and weaknesses that make us who we are . Every one of us. This should make us come together and celebrate these differences. 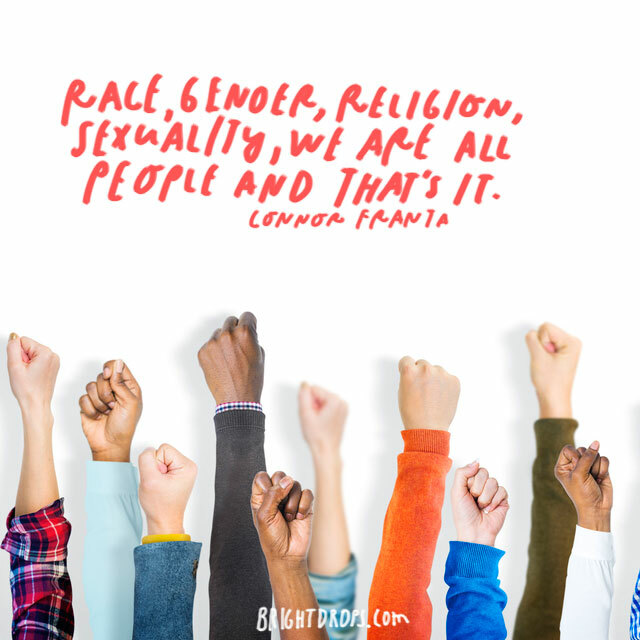 We are all individuals because of how different we all are from each other. Do not let your past struggles define the way that you move forward in life. Everyone’s life has a different path. The journey that it takes to your place in this world does not matter nearly as much as what you do in the end. When you are different you will scare away the people that are afraid of people that are not like them. Secure people will invite themselves into your lives because they see value in your difference. 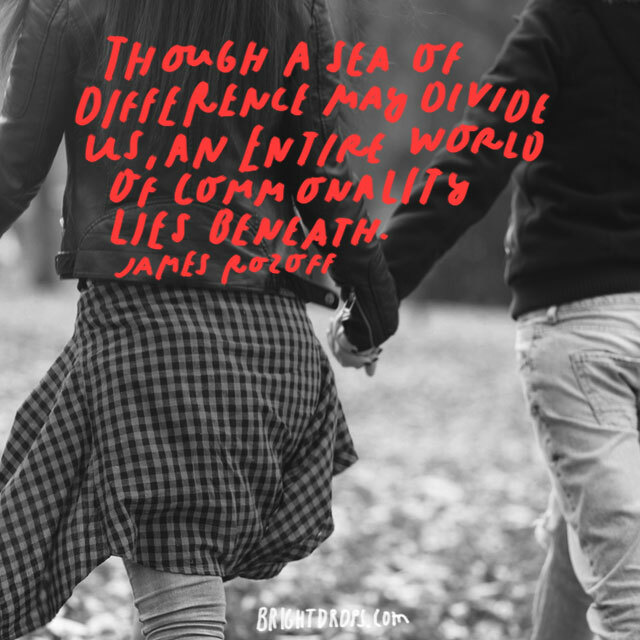 Being different makes for better and more deep relationships. The former president of the United States values our differences but believes humanity has an even greater place in our lives. 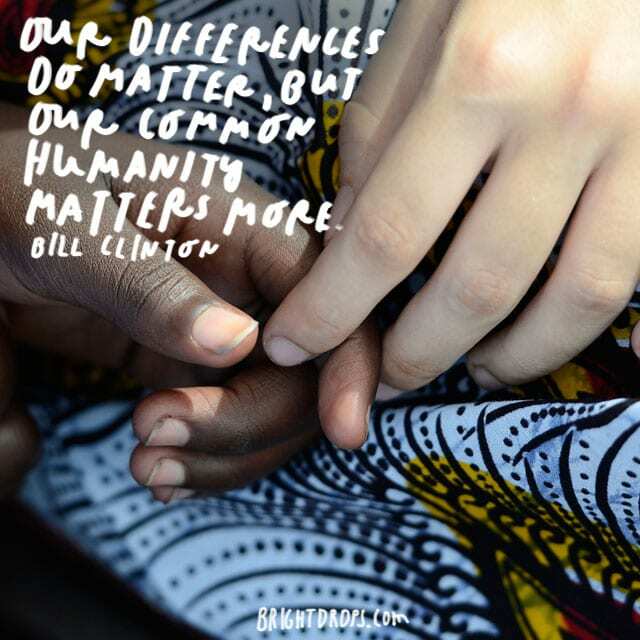 Common humanity for one another is needed to prosper just as much as valuing all of our differences. For anyone who does not value their difference, you must realize that being different makes you who you are. 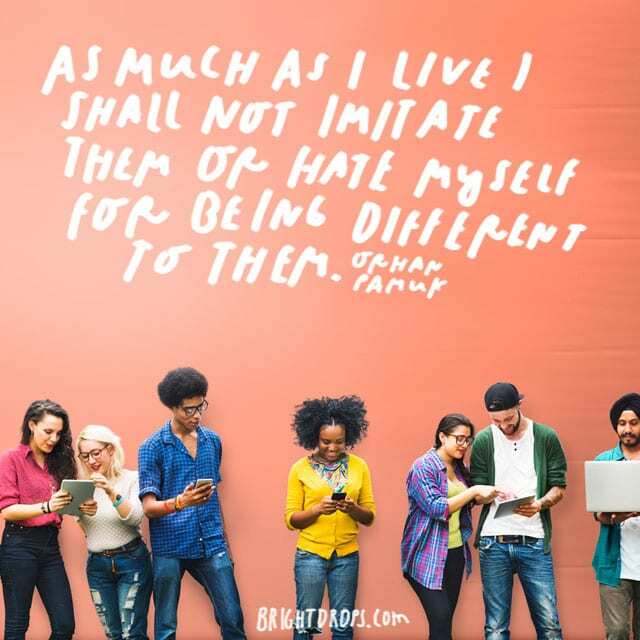 Never hate yourself for being different and do not try to imitate the people that you believe you should be like. Take advantage and embrace your difference. What makes the world such an interesting place is all the different people who live on it. 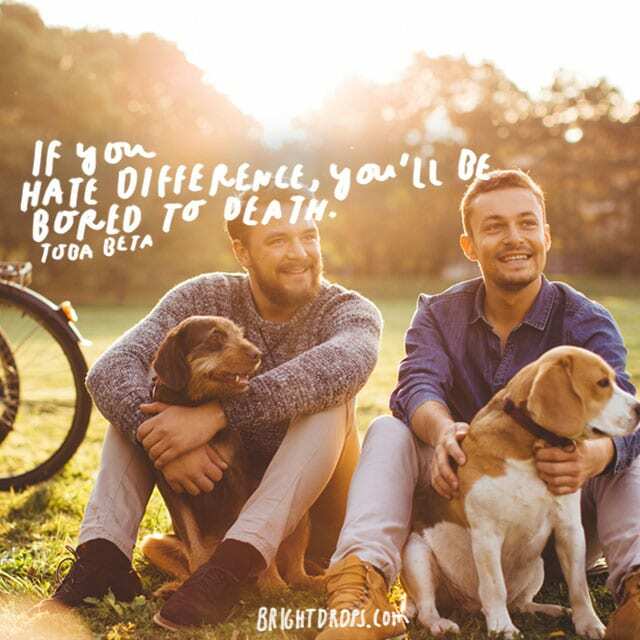 If everyone was exactly the same, the world would be a very boring place. 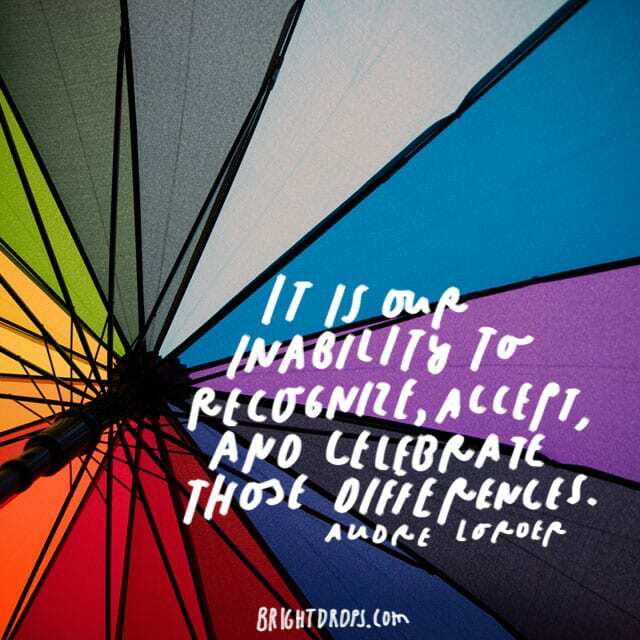 We all have to realize that our differences is what makes life worthwhile. 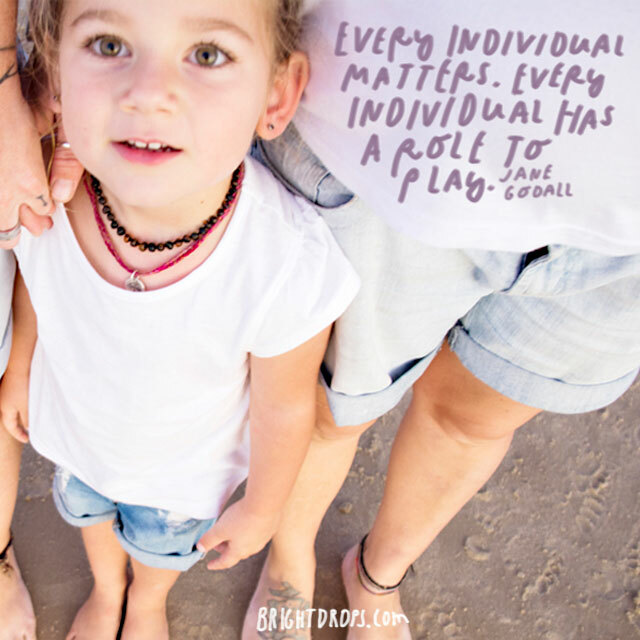 Every person matters because there is a plan for every person on this earth. Every person has a role to play and no matter how low or how high that role is, their life matters. 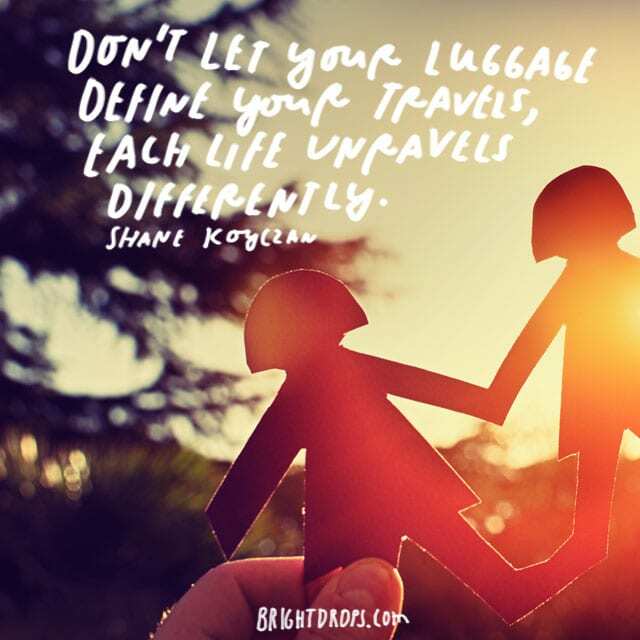 One of the biggest reasons that people travel around the world is to see different cultures and different people. If we traveled and saw the same rituals and the same types of people everywhere we went, traveling would not be an exciting journey. Seeing our similarities is much easier than seeing our differences. 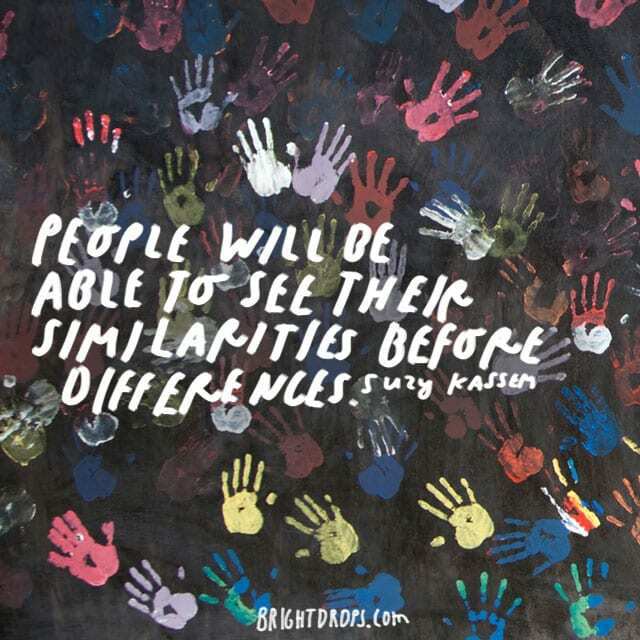 We always look for people who are just like us, but what would happen if we started to look for people who are different? I think we would come to value our differences and what other people have to offer. 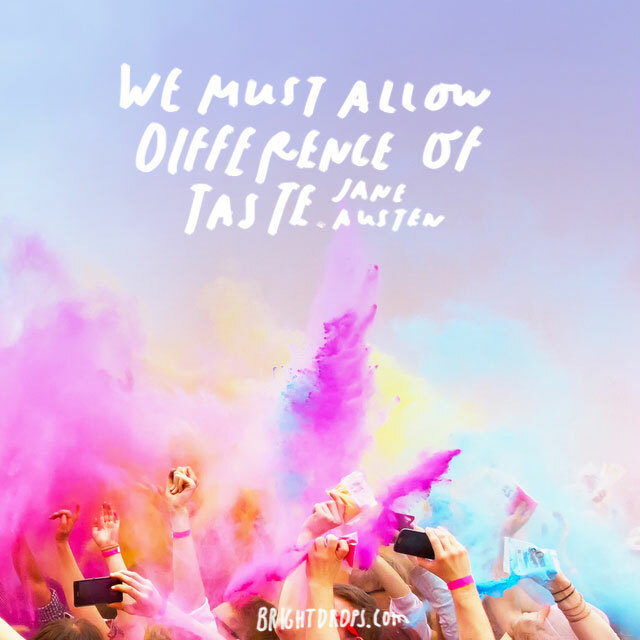 We must allow ourselves to partake in the differences of other people. 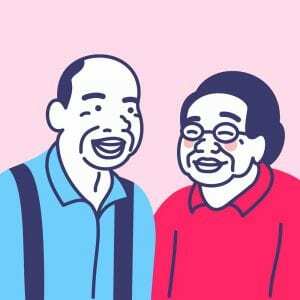 Learn other cultures and ways of doing things before judging them. If all we do is judge and label people, we will never be able to know them for who they are. When you love multiple people in the same lifetime, you will see that no two people are the same. 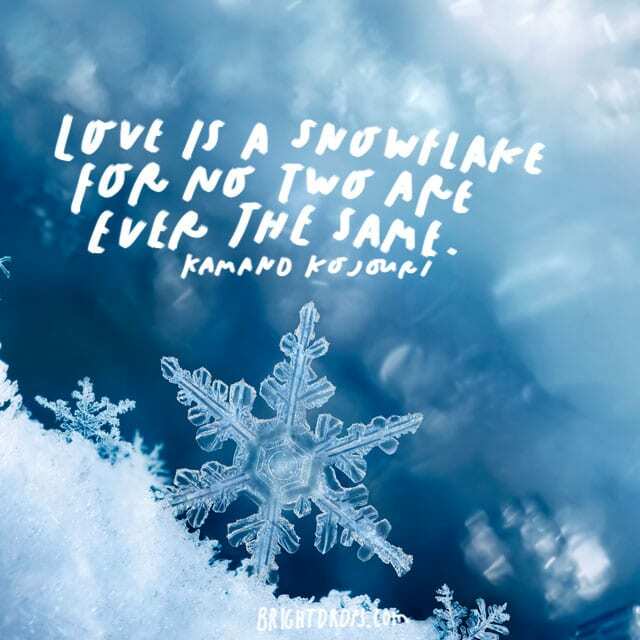 Each love is very different from the last. 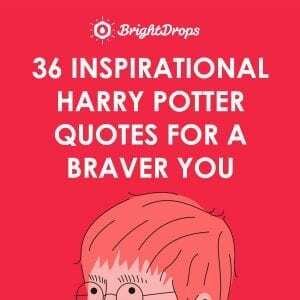 This is because everyone is different. Even if two people look similar there is a good chance they are very different people deep down. 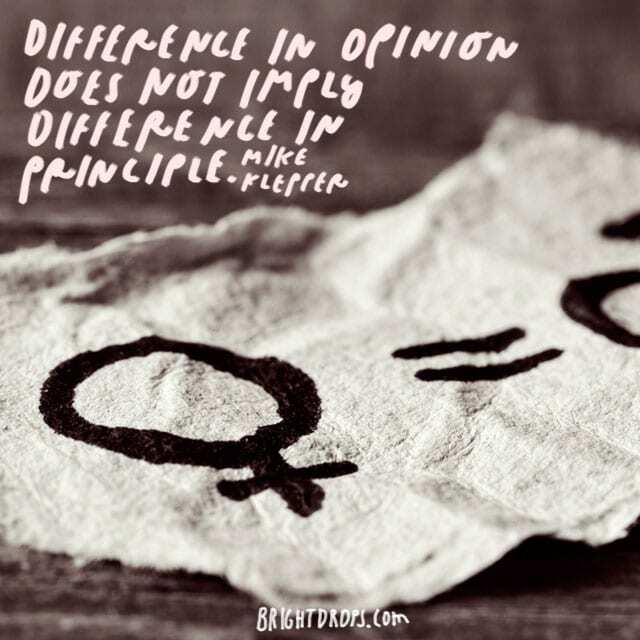 Difference in opinion does not usually mean that the principles are also different. People can have opinions on many things but their principles are still the same. Principles are more important than opinions because people’s principles dictate how they handle different situations. You can never make a difference in this world unless you are able to think differently. Thinking outside the box and expressing different or even controversial opinions is different from the average person. Most people want to be comfortable and not rock the boat, but that will never lead to making a difference. When you see a group of cows, they are all making the same noise. 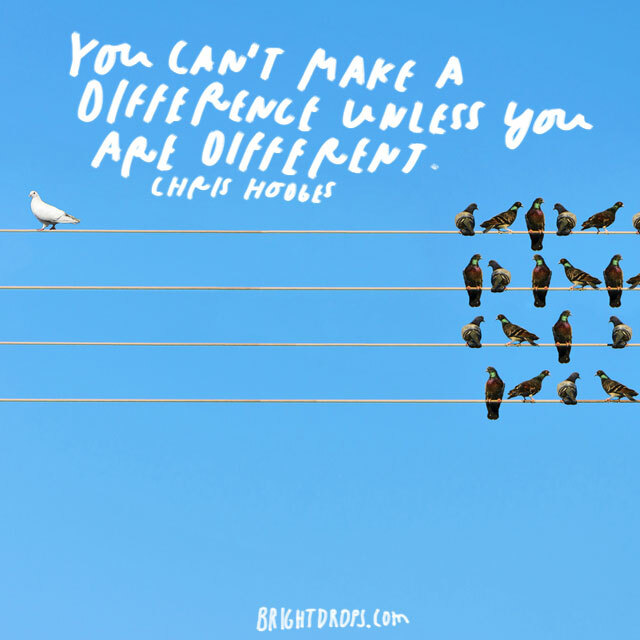 This is related to people because if you want to make a difference, you have to be different than everyone else. 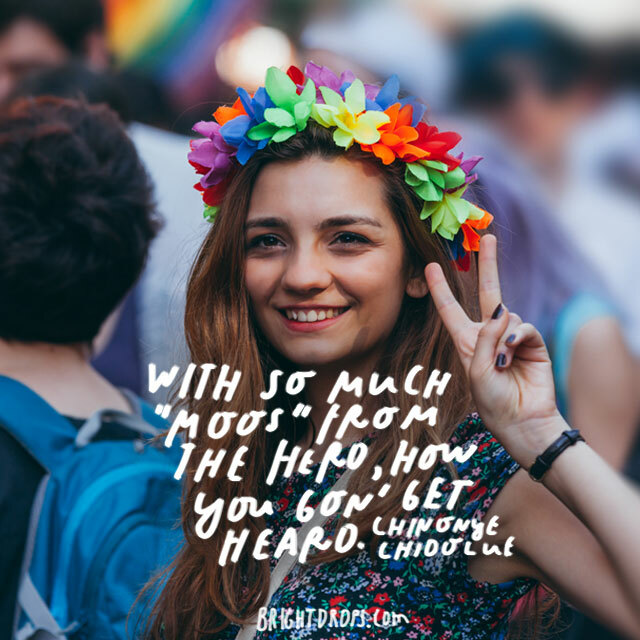 A barking cow would certainly grab your attention, just like a person speaking against the norm. Everybody wants the same thing at the end of life. They want to be happy and believe that they lived a life with purpose. We all take different routes to get to the end, but we are all after the same thing. 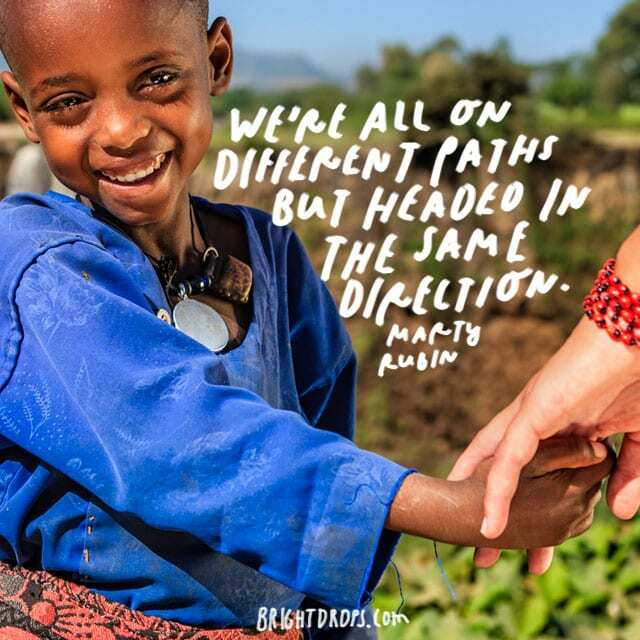 Our different roads are en route to the same destination. 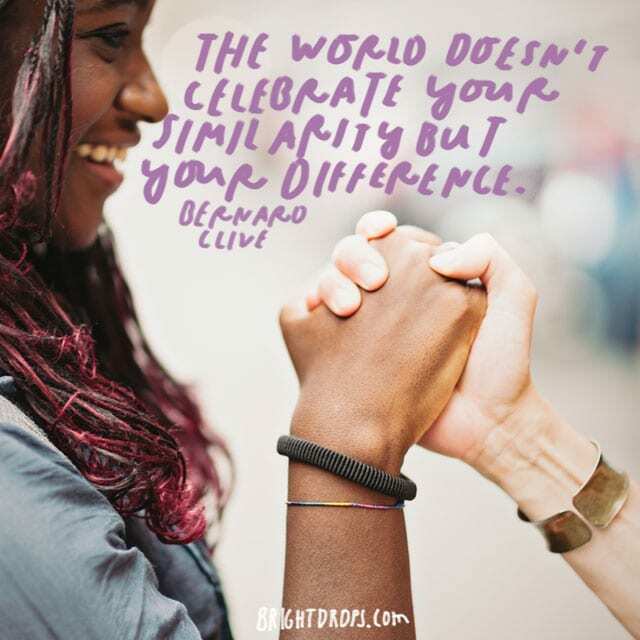 The world does not celebrate you for being exactly the same as everyone else. The true pioneers and innovators of the world are the ones who believed in themselves when nobody else did. They believe they could make a difference because they were different. This is a saying we should all be on board with. 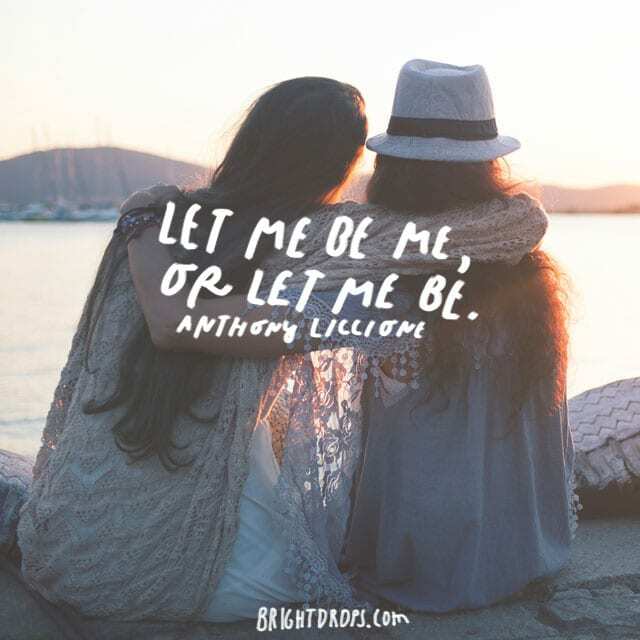 Let me be who I am supposed to be, and if you do not want to do that than just leave me alone because I will be doing it anyway. We all need to stop worrying about other people and focus on ourselves. Difference may hinder our relationships and divide us, but we are all different and our common goal in life remains the same. No matter what we look like or what we practice, we are all in life to create something and be happy in the end of it. 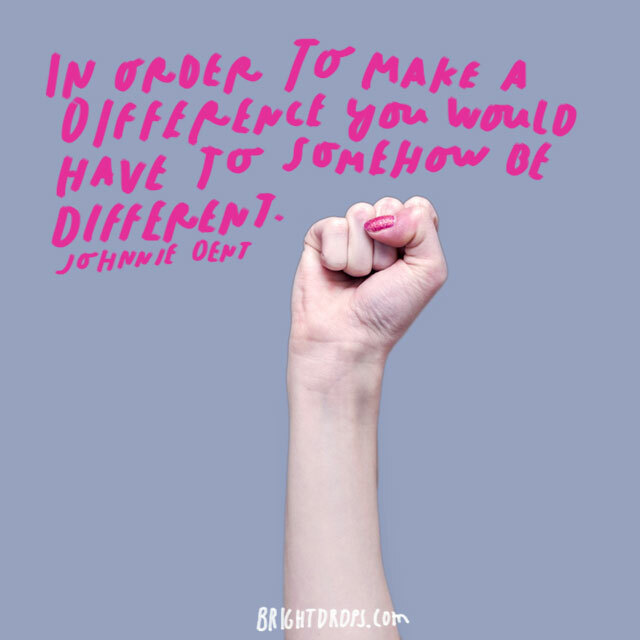 In order to make a difference in the world, you will have to be different in some way. Nobody who was average and generic ever made a difference in the world. 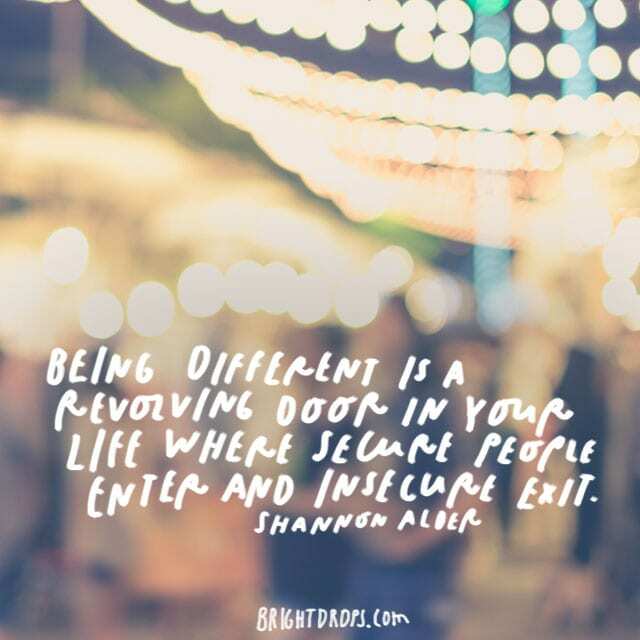 Embrace your differences and your up-bringing and utilize everything that makes you, you.